Coming Soon: an FDA-Approved Prescription Meditation App? The company is launching clinical trials this summer in the hopes of winning the approval of the U.S. Food and Drug Administration (FDA) for its first digital health product by 2020, according to Megan Jones Bell, the company’s chief science officer. 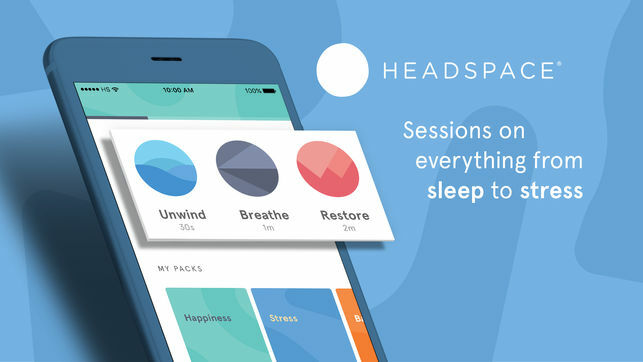 Most meditation apps are created to provide self-help benefits alone (though meditation is linked to a ton of physical health benefits), but Headspace wants to go in a new direction. And if they want to develop an app that purports to treat a specific medical issue, it will require the FDA’s approval. Now, like I said, meditation is linked with plenty of health benefits, but most of the studies touting those benefits aren’t terribly well-designed. According to Jones Bell, Headspace Health is already working with various academic and federal institutions, including Britain’s National Health Service and the University of California, to publish studies that examine just that. At the moment, the 7-person team is pursuing 12 mental and physical conditions that the app could help treat.